4K/20.8MP camera with f/1.7 - f/16 aperture. 20.8MP micro 4/3 sensor.  3-axis gimbal. Supported image formats: DNG, JPEG, DNG + JPEG. Supported video formats: RAW, ProRes, MOV, MP4. DJI Zenmuse X5S is suitable with DJI Inspire 2 camera drone. 1 832,50 € VAT excl. Built-in upgrated micro 4/3 sensor in DJI Zenmuse X5S camera has a dynamic range of 12.8 f-stop, better signal to noise ratio and color sensitivity compared with X5R. 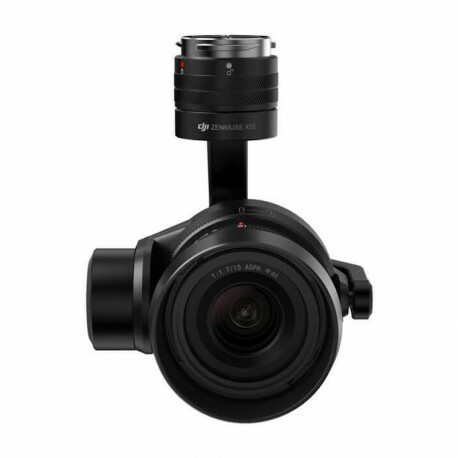 Zenmuse X5S supports 8 standard micro 4/3 lens with a focal length of 9mm to 45 mm (equivalent 18-90 mm on a 35 mm camera) providing more flexibility. The new system image processing CineCore 2.0, built into drone DJI Inspire 2 allows DJI Zenmuse X5S shooting 5.2K video at 30 frames per second; 4K at 60 frames per second (H.264); 4K at 30 frames per second (H.265) and 100Mbps bitrate in CinemaDNG or Apple ProRes format. The camera was created for professional aerial imaging and supports continuous shooting in Burst mode with 20.8 MP. The CineCore 2.0 image processing system is integrated in the Inspire 2 camera drone body. This way the sensor is protected from processor magnetic interference for better image and video quality. New generation cameras are more compact and lightweight, each of it can use the powerful integrated CineCore 2.0 technology. The built-in Micro 4/3 sensor has been upgrated which means better image quality. With a 20.8 MP sensor you can create more detailed images than with the previous sensor (pixel size 3.4 μm). 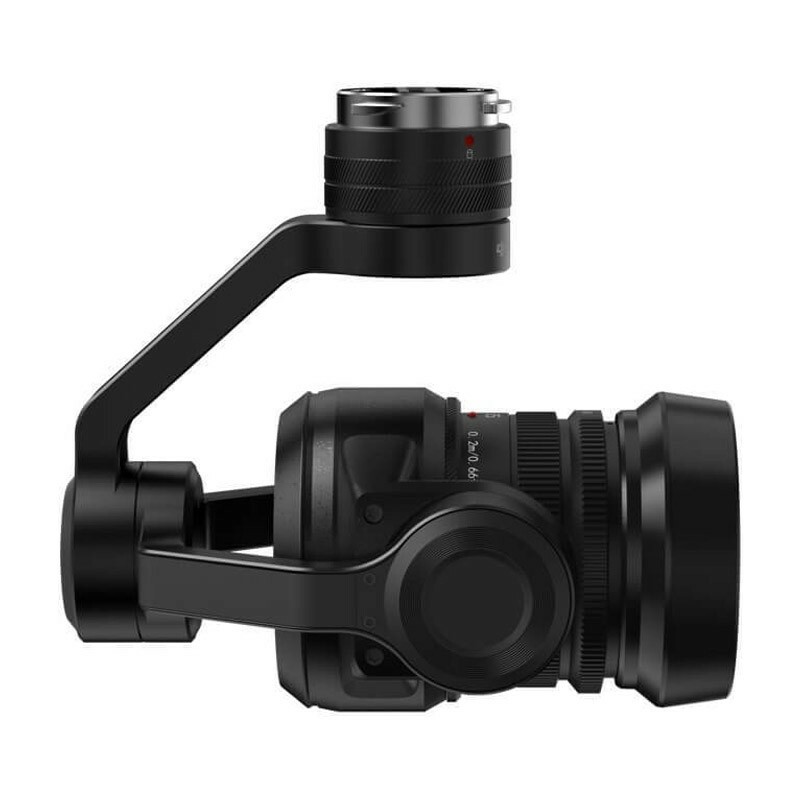 DJI Zenmuse X5S camera features a 12.8 f-stop dynamic range, better signal to noise ratio and color sensitivity compared with the Zenmuse X5R camera - this allows X5S to capture more clear shots even in low light environments. 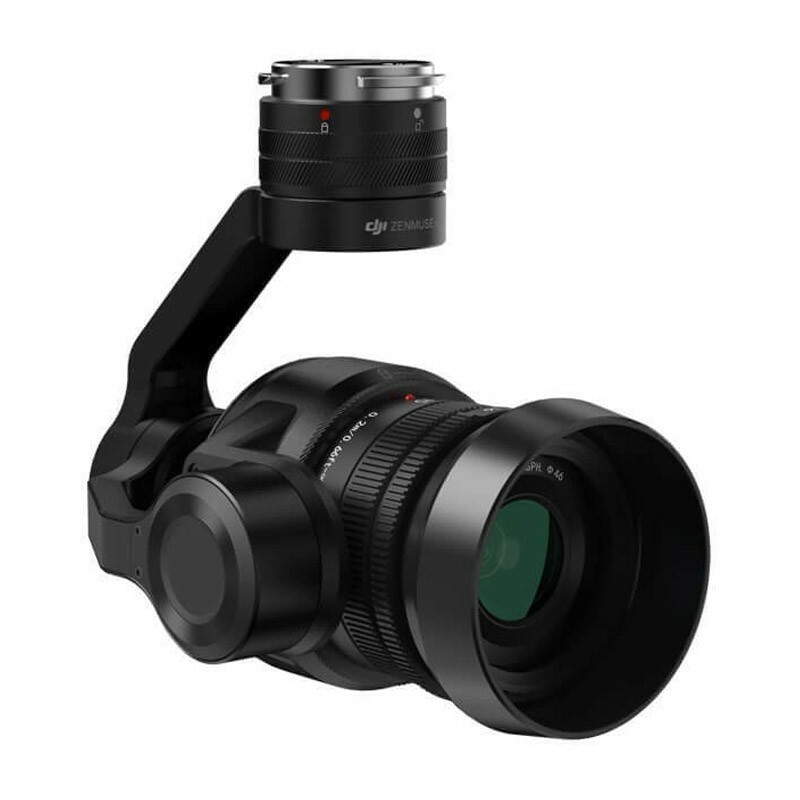 The DJI Zenmuse X5S camera support up to 8 professional* lenses with a focal length of 9mm to 45mm (equivalent 18-90 mm on a 35 mm camera) provide more opportunities for the photographers. Compatible lenses: Olympus M.Zuiko 12mm/2.0; DJI MFT 15mm/1.7 ASPH; Olympus M.Zuiko 17mm/1.8; Panasonic Lumix 15mm/1.7; Olympus M.Zuiko 25mm/1.8; Panasonic Lumix 14-42mm/3.5-5.6 HD; Olympus M.Zuiko 45mm/1.8; Olympus M.Zuiko 9-18mm/4.0-5.6. *A balancing ring required for some lenses. More compatible lenses will be available. 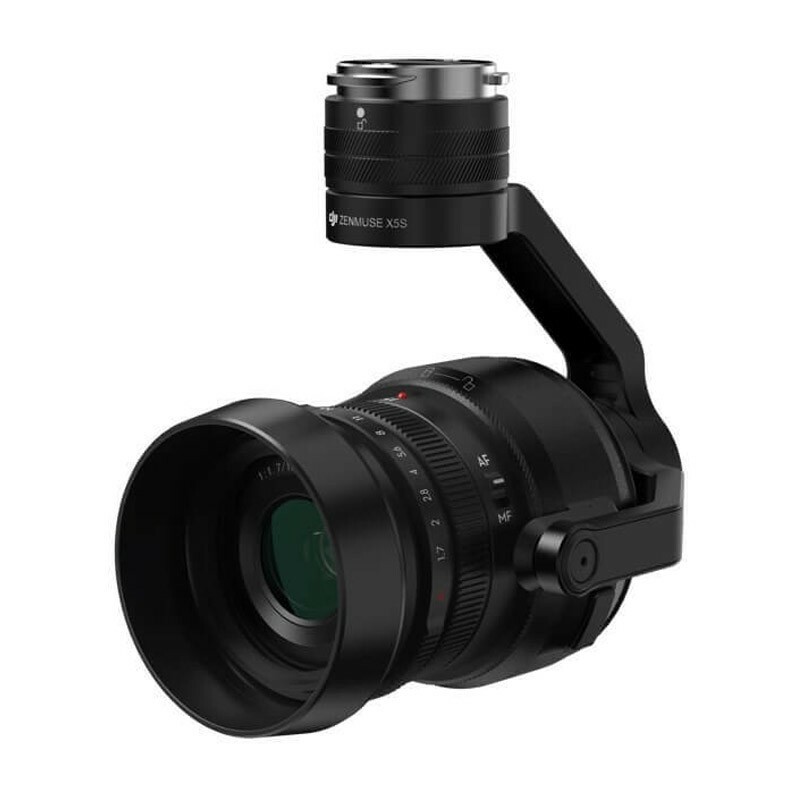 Thanks to CineCore 2.0 technology the DJI Zenmuse X5S camera can record video with a maximum resolution of 5.2K/30 in CinemaDNG format and 12 bit, 5.2K/30 in Apple ProRes 422 HQ format and 4K/30 in Apple ProRes 4444 XQ format (no alpha). More video recording options: 4K/60 (H.264) or oversample of 4K/30 (H.264/H.265) with 100Mbps bitrate. DJI CineSSD supports PCIe3.0 NVMe SSD standard and optimized FAT32/ exFAT file system, allowing the camera DJI Zenmuse X5S to transfer the captured images and videos directly through the DJI CINESSD STATION to a computer at a high speed (no additional software is required). The footage support DIT standard and CinemaDNG or Apple ProRes formats can be used for post-processing. When you are using a memory card for storage, 20.8 MP images can be captured in JPEG + DNG format with 14 fps in Burst mode. When you are using CINESSD you can save the stills in DNG format with 20 fps Burst mode with a maximum 20.8 MP image resolution. Stills can also be taken during video recording without interruption of the video. 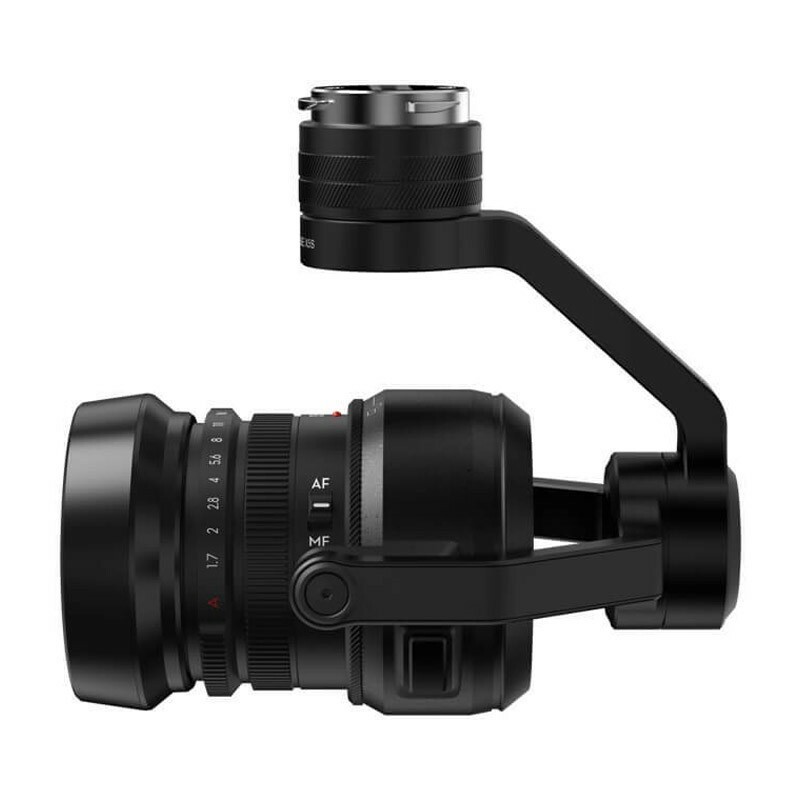 Thanks to its lightweight construction and powerful processor the DJI Zenmuse X5S gimbal motors are super-reactive. 3-axis gimbal stabilization reacts in real time of all camera movements – that helps X5S to be always well positioned. 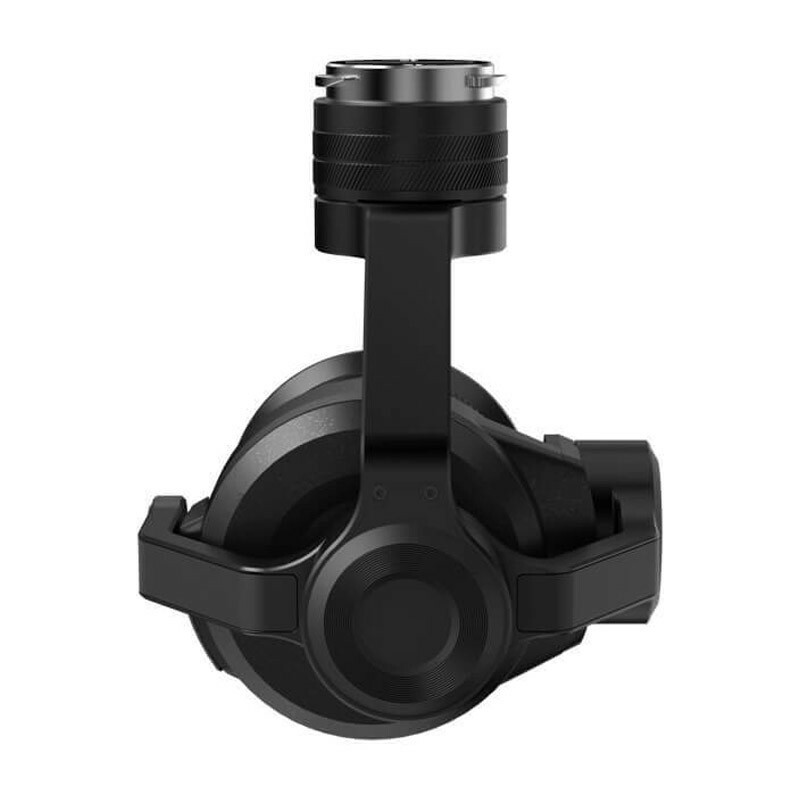 With 0.01˚ precision, combined with three damping balls and lightweight damping boards the gimbal neutralizes any vibration. Thanks to the integrated wires can be rotated at up to 360˚. The DJI GO app will allow you to take control over every detail remotely - focus, aperture or format. DJI Focus is able to manage the focus easily, and new built-in Lightbridge technology allows a signal transmission to a maximum distance of 3.5 km.